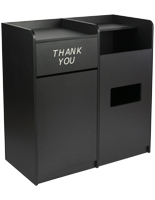 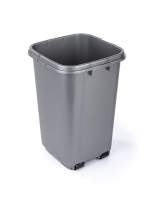 With a 36 gallon compartment and dish area, this dual trash can and recycling receptacle is sure to meet even the most demanding establishment needs. 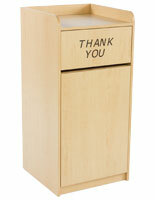 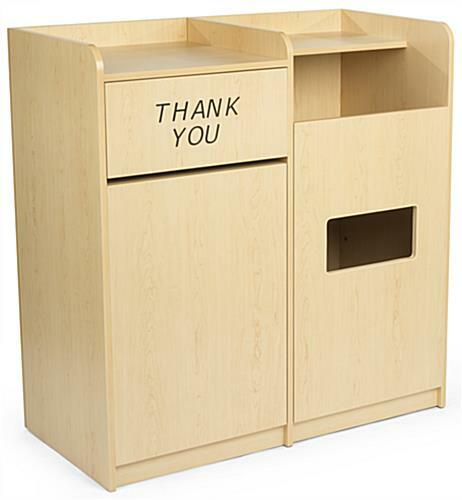 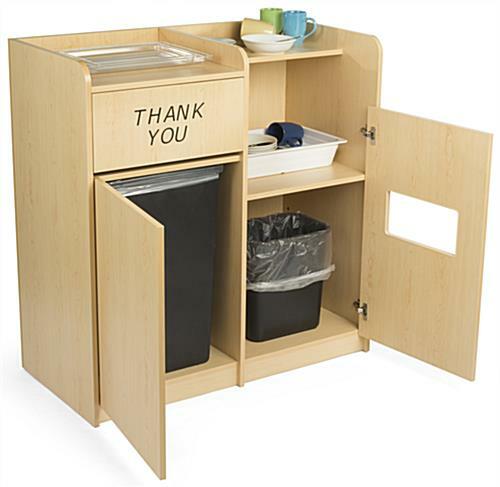 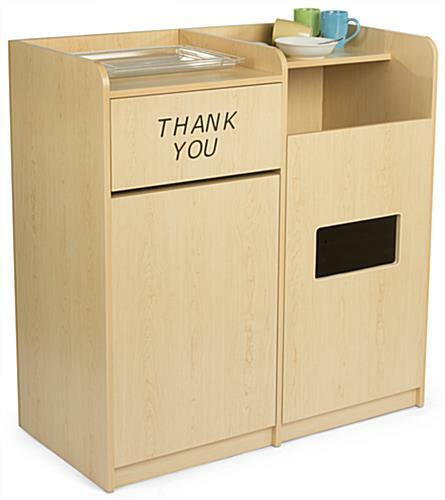 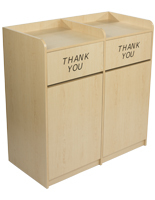 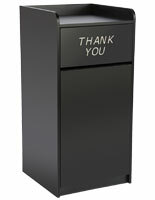 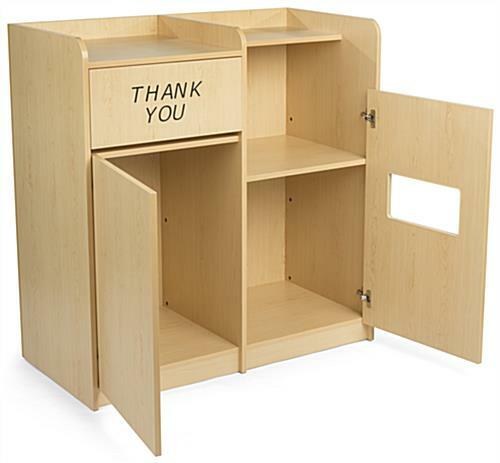 Throw away waste into the wooden container by pushing open the hinged door with an engraved “Thank You” message. 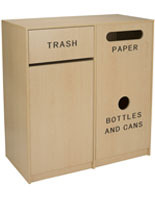 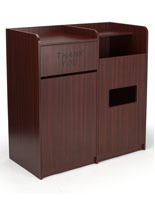 Each maple recycling receptacle also includes an area for soiled dishes, utensils, or trays making clean up a breeze. 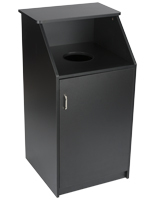 Access the 36 gallon compartment by opening the swinging door to quickly change out liners. 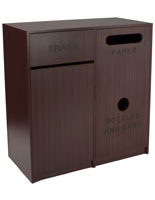 The bottom slot for recyclables measures approximately 12.375"w x 6.25"h. Place this receptacle combination in your establishment to effectively collect waste from customers.